An all-screen iPhone at last? Another day another Apple iPhone rumour, right? Except this time we’re a year ahead. Yup the new-new Apple iPhone, due in 2019, has apparently leaked. Apple is allegedly working to make sure that the front facing notch at the top of the iPhone X is done away with for future models. It does get in the way of the all-screen front which annoys some people. But it’s the heart of Apple’s Face ID. It’s the top notch that packs in an infrared camera, dot projector and flood illuminator, all to recognise faces - so how will Apple ditch it all? 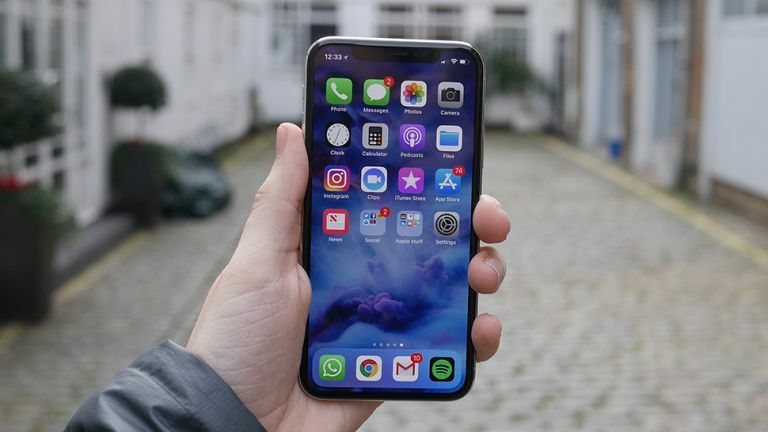 A Report from Korea’s ETNews claims that LG Innotec, the company which makes Apple’s 3D sensing system, has invested a hefty $821 million in making it better. Rumours suggests Apple is the one holding the purse strings on a lot of that investment. It’s also claimed that Apple wants to put 3D sensing tech, aka Face ID, in more of its devices – so it makes sense it would want the most compact and affordable version. This is another reason why Apple will want it all in one single unit. As a result the Face ID 3D sensing unit should be small enough to get rid of the current top notch on the iPhone X, so future iPhones offer a more true bezel-free display. The downside to all this? It appears that Apple is working on this for its 2019 iPhone. But then early iPhone X rumours made it sound like that was a year ahead of its release so there’s still hope for a bezel-free iPhone soon.